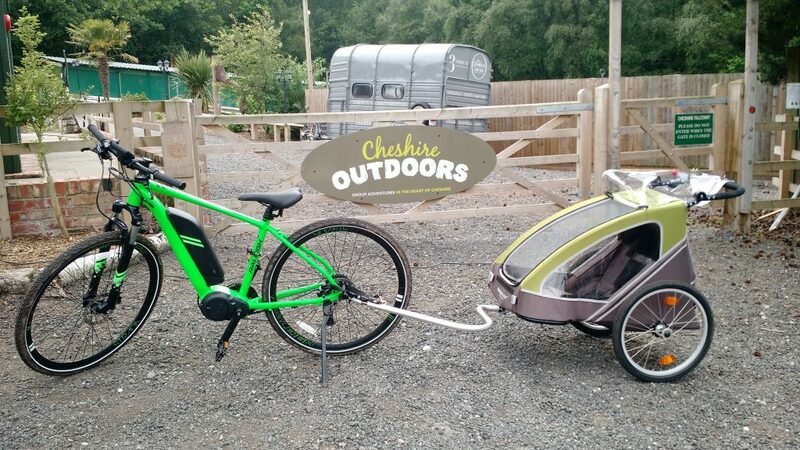 Cycle hire is one of a number of activities available at Cheshire Outdoors. From our multi-activity centre located at Blakemere Village you can reach the Whitegate Way via our private woodland on traffic free trails suitable for riders of all ages and abilities. The Whitegate Way gives access to Weaver Parkway and the Oakmere Trail to Delamere forest through the beautiful Cheshire countryside. Lead hirer must be a responsible adult 18+. We require photo ID in the form of a passport or driving licence or the card used for payment to be deposited with us for the duration of the hire. Helmets are provided free for all riders and must be worn. 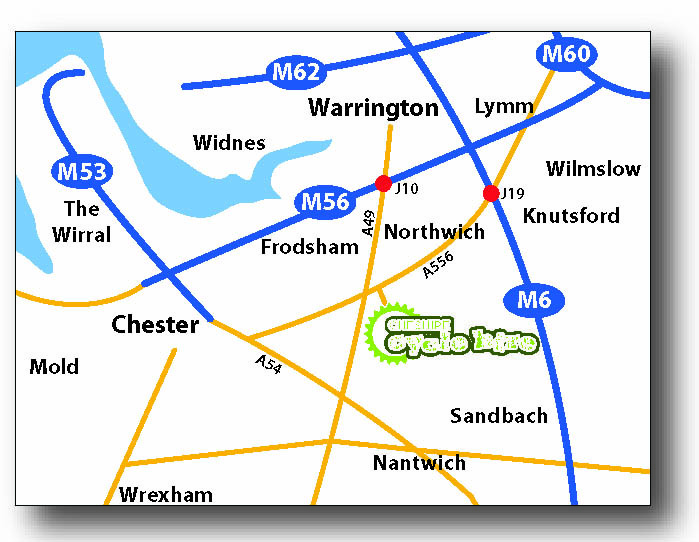 Cheshire Cycle Hire is located in Blakemere Village at the junction of the A49 and A556 mid way between Northwich and Chester.